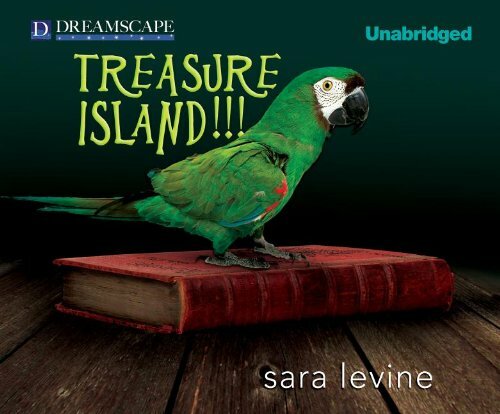 Home Sara Levine Treasure Island!!! When a college graduate with a history of hapless jobs reads Robert Louis Stevenson's novel Treasure Island, she is dumbstruck by the timid design of her life. When had she ever dreamed a scheme? When had she ever, like Jim Hawkins, broke from her friends, raced for the beach, stolen a boat, killed a man, and eliminated an obstacle that stood in the way of her getting a hunk of gold? Convinced that Stevenson's book is cosmically intended for her, she redesigns her life according to its Core Values: boldness, resolution, independence and horn-blowing. Accompanied by her mother, her sister, and a hostile Amazon parrot that refuses to follow the script, our heroine embarks on a domestic adventure more frightening than anything she'd originally planned. "An absurdist comedy of suburbia." "A sassy first novel ... You can''t go wrong." "Levine...is a tremendously funny writer." "Levine is a wonderful storyteller with a vibrant voice. "Treasure Island!!!" is a rollicking tale, shameless, funny and intelligent." "[An] irreverent comic novel of self-empowerment." "Levine sports an original, brutally witty voice." "I laughed my way through...this addictive little pageturner." "This highly original, farcical novel will keep you entertained." "Levine's subtle insight about the egocentric nature of our society is knife-sharp."